1. How Acidic IS Coffee? On Madeline’s graphic, note where coffee ranks on acidity–at about 4.5 – 5.0 pH. Refreshing our high school chemistry, we remember that water is the perfectly neutral substance, and it is a 7.0. Numbers lower than 7 are acidic, and numbers between 7 and 14 are alkaline. So, in comparison to other drinks, COFFEE IS NOT ACIDIC. 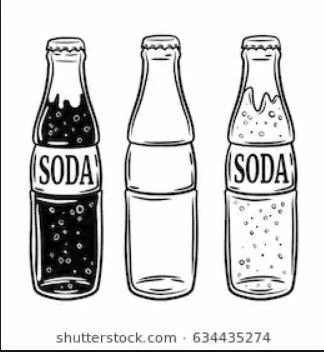 Note that soda pop is about the most acidic thing out there. How’s that for counter-intuitive? So what’s up with that? As Madeline points out, soda doesn’t feel acidic due to the incredibly high sugar content of the drink. If you drink your coffee black, you don’t have the counterweight of the sugar blunting the feel of the acidity. It may also account for ” acid stomach” after too many cups of coffee with no food along with it. I take this to suggest that we should by all means have that bagel with our coffee, for our stomach’s sake. Now you have science to back it up. You’re welcome. 2. Acidity and Climate. Wine grapes develop more acidity in cooler climates, especially in night temperatures. It turns out that the best coffee is grown at high altitude where temperatures are comfortable in the daytime and quite cool at night. If you like your coffee with some natural acidic tang, note the MASL (meters above sea level) where they are grown. The highest grown coffees are in East Africa (Ethiopia, Kenya, Rwanda, Burundi) and in the Andes of South America, where coffees are grown at up to 2250 MASL — almost 7,000 ft above sea level! 3. Why Some Acidity is Good. Tolerance for acidity in taste varies from person to person. Since coffee’s acidity level is pretty comparatively low, it comes down to individual sensitivity level and prior conditioning as to what “tastes good.” I personally like tart things, so coffee that isn’t at all acidic seems flat and boring to me. I also like the way that a dash of tang in coffee sets off the other flavors in the cup. The key seems to be keeping it all in balance, and we do that through roast level. Now might be a good time to review what roast level adds to coffee enjoyment. Read our primer here. This entry was posted in About coffee, Theory of coffee enjoyment and tagged coffee acidity, tasting on June 20, 2018 by Nano. 2. Climate change is affecting coffee growers around the world. Some traditional coffee-producing countries are finding the conditions amenable to really top quality coffee eroding as droughts and temperatures increase. In short, the optimal coffee-growing areas are moving up the mountain where there is less acreage to farm. 3. Is there any good news for coffee lovers? One factor in the report that bodes well for coffee drinkers everywhere is that the production of Robusta isn’t growing nearly as fast as Arabica. As farmers everywhere begin to realize higher prices for their higher-quality product, there may be more effort to produce the kind of quality coffee we actually want to drink. At the same time, small farmers are starting to get better prices for their high-quality coffee crops, helping them improve life for themselves and their kids world-wide. That’s really good news. Enjoy the Blessing of Really Good Coffee! This entry was posted in About coffee and tagged climate change impact, coffee cost, coffee trends, supply and demand on July 19, 2017 by Nano. 2. No substitute for using the right equipment. If you are using a whirly-blade grinder, freezing your beans might help the “coffee dust vs coffee rocks” situation, and you might reduce unwanted bitterness that way. You will never obtain a consistent size grind using this method, IMHO, so don’t expect miracles when the “miracle” is actually a decent burr grinder. 3. So if you DO freeze your beans...If you do want to freeze your beans ahead of grinding, you might have to allow the ground coffee to return to room temperature before brewing. I don’t know if letting your ground coffee sit exposed to air for a short time prior to brewing will appreciably impact flavor. Technically it should, but I doubt that it would be a bad trade-off in practice. The bigger threat is bitterness from over-extraction of the very small particles. 4. Something smells off here. What really bothers me about the suggestion to freeze your coffee is that refrigerators and freezers are dangerous places for coffee due to the danger of flavor contamination and staling from exposure to air. Be aware that you cannot keep coffee fresher longer by freezing, but you could wreck quality beans by doing this. Stay away, please! 5. Get trustworthy guidance. Now is a good time to remind everyone that NanoRoast has literally pages of guidance on maximizing coffee enjoyment. Why not refresh your knowledge now? This entry was posted in About coffee, Theory of coffee enjoyment and tagged coffee freshness, coffee storagae, freezing coffee beans on January 8, 2017 by Nano. My friend Stan gets it. Baristas don’t agree on anything. Nobody mentioned starting with really good coffee. Do you stir or not stir? Do you grind really coarse or only medium? Should the water be exactly 204F? Why does anyone expect a Keurig to make decent coffee?? Ok that last one was mine. I really hate Keurig for the reason that they seem specially designed to produce bad coffee–low temperature water, using pre-packaged mass market coffee ground who knows how and stored for long periods before use. Please don’t use NanoRoast in your Keurig. Just don’t. I don’t want to be responsible for your disappointment. 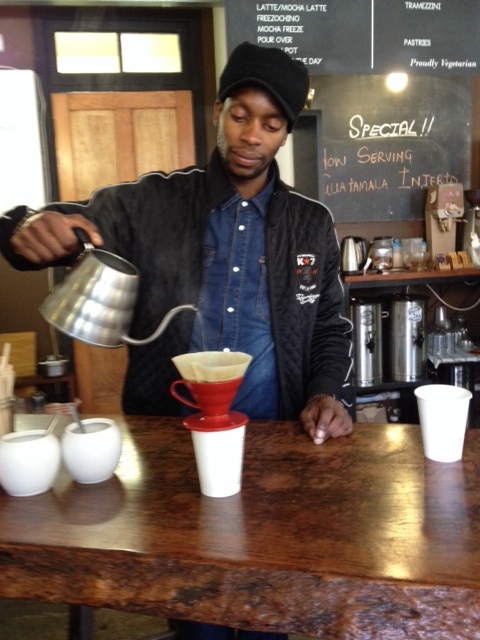 Pourover coffee is not complicated as long as you can boil water and discern a medium to coarse grind. A paper filter leaves less sediment than a metal one, and starting with filtered water really helps as well. Otherwise, pouring water just off the boil slowly through medium-coarse high-quality coffee grounds in a filtered cone is really all you need to know. Read my comprehensive musings on brewing techniques for details here. Keep it simple, and Enjoy your coffee! This entry was posted in About coffee, Theory of coffee enjoyment and tagged Brewing methods, pour-over coffee on October 27, 2016 by Nano. Also significant in the mix is that even areas that receive enough rainfall will be challenged so that high-grown quality arabica coffee must be grown at even higher altitudes, and there is less land there. For example, most high-quality arabica is grown at altitudes over 1200 meters above sea level (MASL), or just under 4,000 ft. and usually not more than 7,000 ft. or 2200 MASL. There are not too many locations across the world between 23.5 degrees North and 23.5 degrees South with sufficient rainfall AND altitudes in this range AND people who want to grow high-quality arabica coffee. 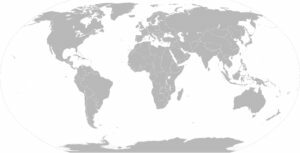 The main areas are East Africa and PNG. It could be that if the market develops, as in SW China for example, more of the population of high-altitude locations in the coffee belt might start growing and producing high-quality arabica. Let’s hope so. Even better, let’s start (as a species) to manage our planet a bit more responsibly. Enjoy and treasure your coffee! This entry was posted in About coffee and tagged climate change impact, Coffee regions on May 4, 2015 by Nano. Note the difference! Both beans are processed leaving some of the coffee cherry on the bean while drying. This imparts interesting, complex flavors, but the roasted beans look pretty ugly short of a dark, dark roast. 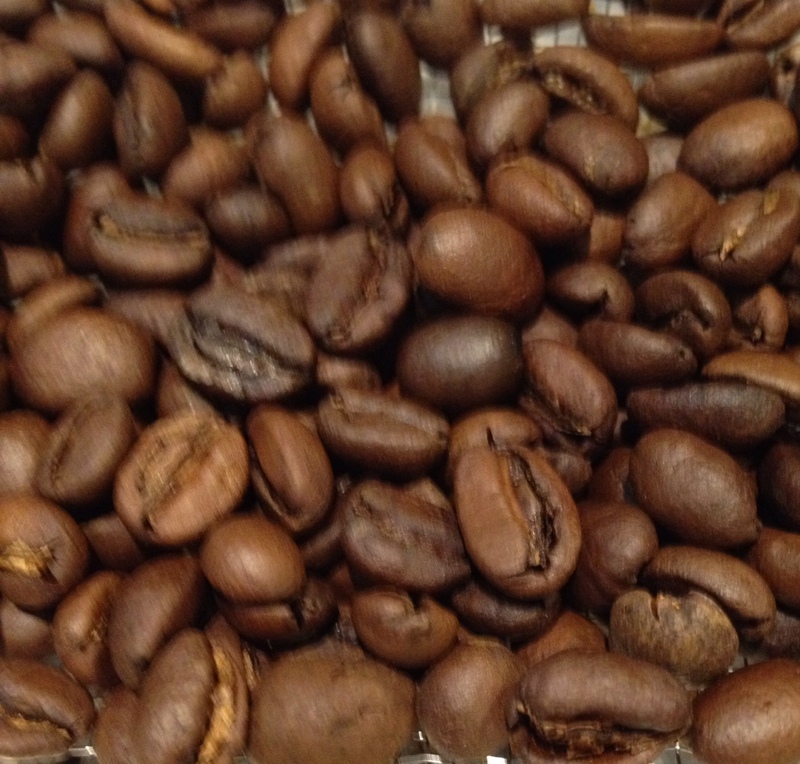 Sumatra wet hull coffees are notorious for looking uneven, mottled and less roasted than they really are. Besides the excess chaff that sticks to them, they look like a disaster. No wonder you won’t find these for sale in your favorite coffee bar! 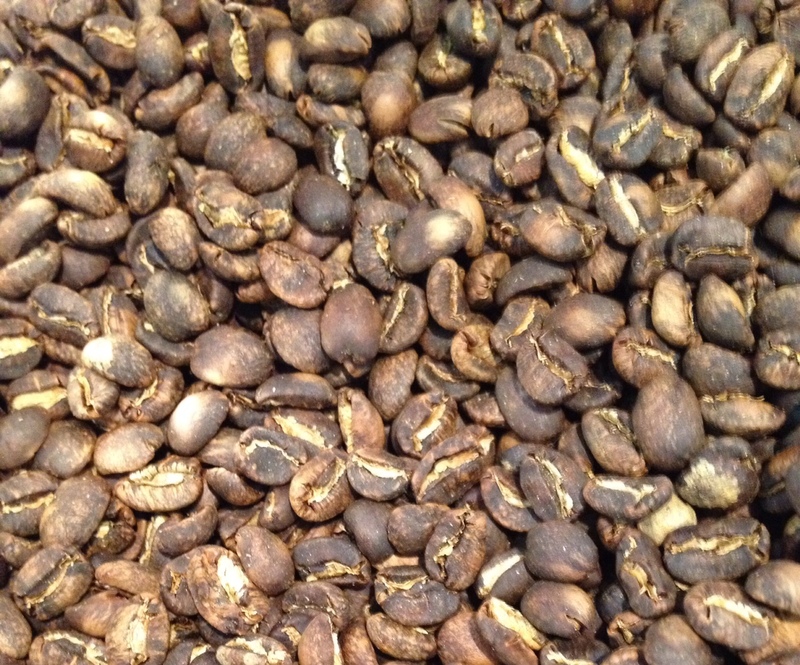 The Ethiopia, while having some of the same gradations in color at the same roast level, is so much more even looking! (The Ethiopian shown is dry processed, another process that leaves a lot of chaff on the bean and gives unique flavors to the coffee.) So why would anyone want to deal with the kinds of processing that leave part of the coffee cherry attached when dried? In a word, flavor! There is no one way coffee is processed in the world. Every region has its own methods born out of tradition, weather and water availability. Central American coffees are generally processed in a way that removes anything that could “taint” the flavor. They are going for a very clean taste–crisp, well-defined, well-integrated flavor profiles. By contrast, Indonesians leave lots of hull clinging to the bean, and the processing method allows for lots of “environmental input” as the hull and cherry ferment in the heat or the beans dry on a tarp on the ground, for example. Sometimes these more rustic processing methods can lead to dirty, moldy, nasty flavors, but if care is taken with the beans, a rustic, savory, herbs-and-cedar or licorice note can be detected. This is very unique and quite pleasant. At NanoRoast, we choose wet hulled coffees* for the flavor in the cup, not what they look like. We will be happy to roast your wet hulled Sumatra or Bali dark-dark if that’s what you like, but you owe it to yourself to try one of these savory, rustic coffees with a bit more of the origin flavor showing. For those who aren’t sure, we offer our wet hulled offerings in a medium-dark roast (beginning of second crack, no oil on the outside) or in a melange roast, combining a range of roast levels so you can get the best of the dark and less dark. *Origin offerings that use wet hull processing are generally those from India, China, Sumatra, Bali, Sulawesi and the rest of Indonesia. Dry process is mostly used in southern Ethiopia (Yirgacheffe) and in Brazil, but those are another blog post. This entry was posted in About coffee, Theory of coffee enjoyment on December 31, 2014 by Nano.